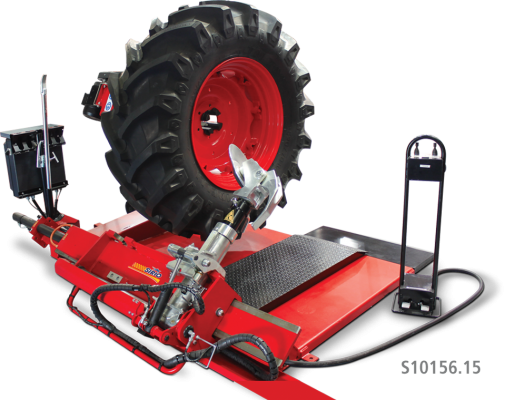 Electrohydraulic tyre changer for trucks, agricultural and earthmoving vehicles with rims between 11” and 56”. 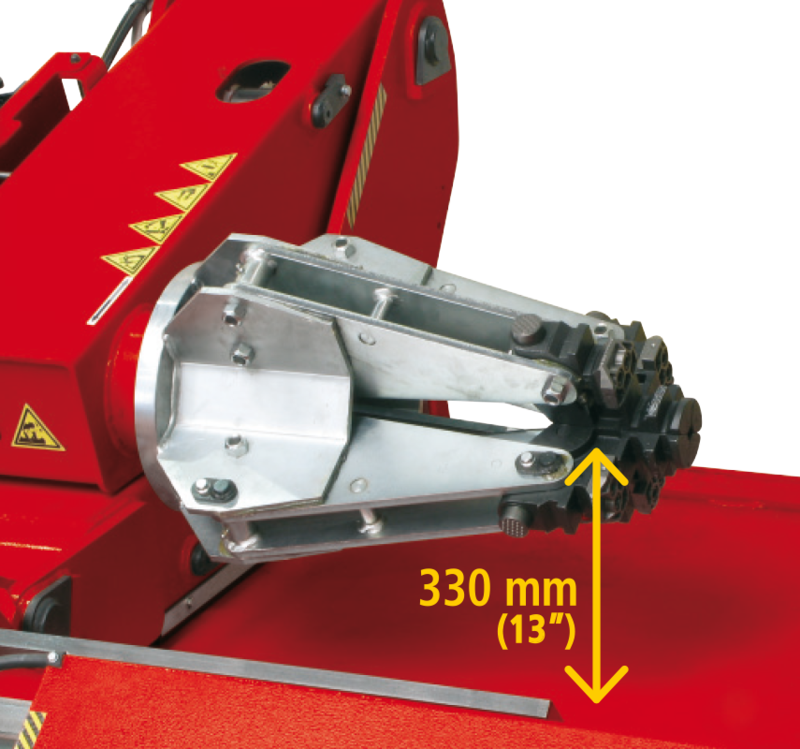 The chucking table can accommodate rims up to 43” without extensions. 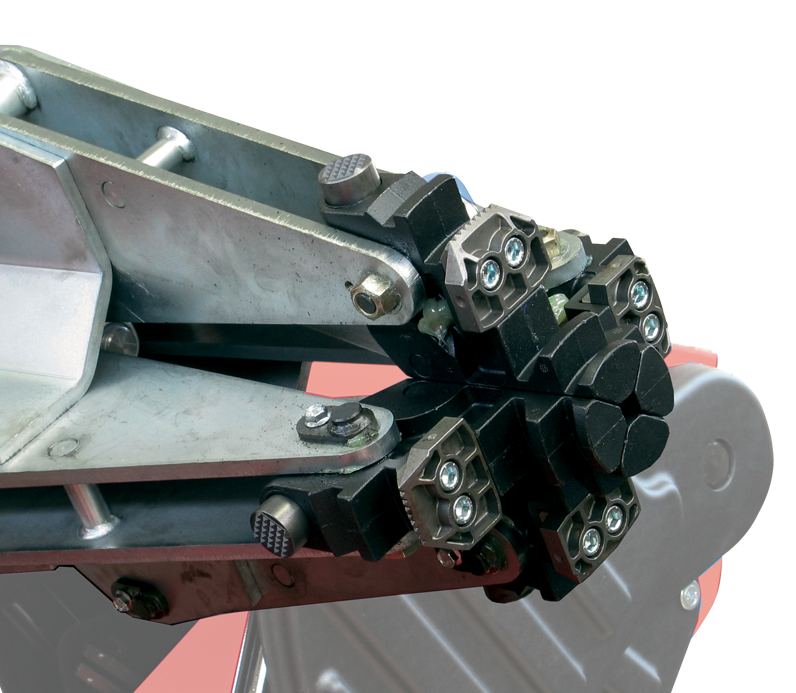 Hydraulic controls on aerial arm. 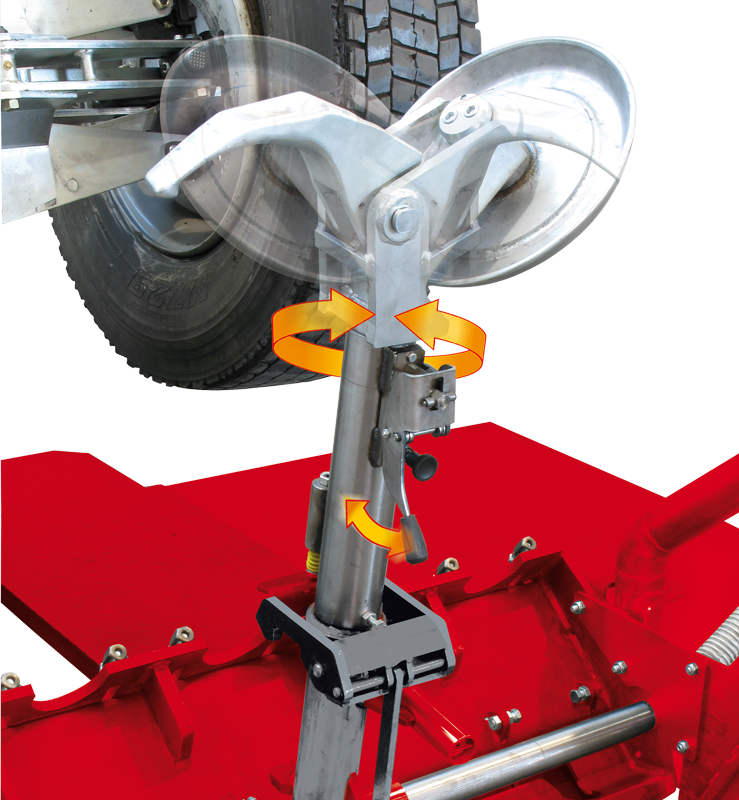 Manual movement lifting and rotation of tool.